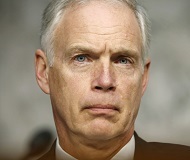 MADISON - It's become a regular practice for Senator Ron Johnson's partisan allies to use the whistleblower complaints about the Tomah VA as a political weapon while glossing over Johnson's own failure on the issue. Ron Johnson spent months pointing fingers at his political rivals, placing blame on others for the complaints that surfaced at the Tomah VA. Reporting from the Milwaukee Journal Sentinel quickly made Johnson change his tune after revealing the Senator's office allowed the whistleblower's information to die in "the equivalent of a congressional black hole." Previously, Johnson's office claimed the complaints were referred to an oversight committee, an intentionally misleading statement since the complaints were merely passed off to other members of Johnson's staff. Since the Journal Sentinel report, Johnson has refused to accept any responsibility or hold his staff accountable for failing Wisconsin veterans. That hasn't stopped Johnson's dark money henchmen from lodging shameless, hypocritical attacks on the issue. Right-wing front group Wisconsin Alliance for Reform is running baseless attack ads against Johnson's opponent Russ Feingold. The ads claim Feingold failed to take action after receiving a memo in 2009 outlining the problems occurring at the Tomah Va, but the union president says she has no proof any such memo was delivered. "It's no surprise that a front group started for the sole purpose of attacking Democrats with untold amounts of anonymous money would run baseless attack ads to support an incumbent Republican candidate as vulnerable as Ron Johnson," Democratic Party of Wisconsin Executive Director Kory Kozloski said on Wednesday. "The more Johnson's dark money attack dogs bark on this issue, the more they highlight the Senator's shameful inaction and bold hypocrisy."